It has built-in DVD player, but is this LED TV really an all-in-one? 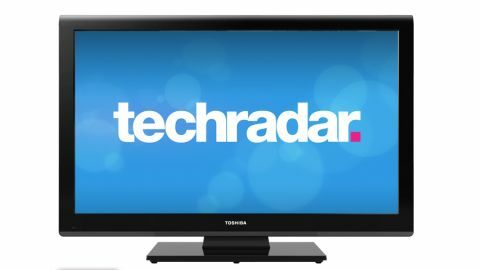 After being bombarded of late by smart TV services, apps, Wi-Fi streaming and smartphone control while getting friendly with the major brands' televisions for 2012, Toshiba's 32DL933B is enough to give us a bit of a shock. Its killer new feature - and something that's almost unique on the market - is a built-in... wait for it... DVD player. DVD, eh? If you're having trouble remembering what a DVD is, having long ago moved on to either Blu-ray or streamed movies, we seriously suggest you click away now, because this 32-inch LED TV is not for you. Actually, we're not sure who it is aimed at: is it a very rudimentary living room TV or a great value all-in-one for a bedroom? If pushed, we'd opt for the latter, since this is a combi only in the most basic sense. There's no Freeview HD tuner, and nor can the 32DL933B offer Full HD resolution - it's merely HD-ready. Can a TV be considered all in one if it lacks a Freeview HD tuner? That depends on how you consume your digital TV, of course - Sky+, BT Vision or Virgin Media TiVo subscribers would probably rather not pay for superfluous tuners. But our guess is that the Toshiba 32DL933B is destined for bedrooms needing a size upgrade - and where the major diet is DVD films. Another clue to the Toshiba 32DL933B's intended destination is in its choice of either black or white finishes, the latter given a slightly different model number: 32DL934W. In terms of looks, we like the Toshiba 32DL933B as it is. Its slimness is a moot point; although it's not exactly a fatboy model, the presence of that chunky DVD player extends its usable depth to over 63mm and moves it well away from any super-slim claims. Gloss black and with a simple yet attractive furl across the top line, the Toshiba 32DL933B's bezel measures a meaty 35mm. The 32-inch TV costs £331 (around $520) in the UK. Elsewhere in the Toshiba DL Series is a 19-inch 19DL933B, 23-inch 23DL933B and 26-inch 26DL933B, although oddly all are strapped with an HD-ready screen except the 23-inch model, which sports a Full HD resolution. They're all available as white versions, denoted by the DL934 moniker. Elsewhere, Toshiba also sells the similarly HD-ready and black or white EL Series, which is available in the same sizes; it does away with the built-in DVD player, but retains LED backlighting. If you want to step up to Full HD, consider the brand's HL Series, which come in 32-inch 32HL933 and 40-inch 40HL933 flavours. Both have slimmer screen surrounds than the Toshiba 32DL933B. The Toshiba 32DL933B's choice of connections is somewhat limited. On a side panel is the set's sole USB slot and a Common Interface slot, with two jacks below for attaching adaptors. Included in the box, those adaptors - commonly found on super-slim sets - enable component video and composite video cables to be attached, although the Toshiba 32DL933B is hardly short on girth. On the main back panel are two HDMI inputs, a 15-pin D-sub VGA-in for a PC, an RF tuner feed to power standard-definition Freeview, a Scart (increasingly rare on flatscreen TVs these days, and a clue to the Toshiba 32DL933B's intended customer), and a coaxial digital audio output. The main feature of the Toshiba 32DL933B is, of course, that integrated DVD player. As well as spinning regular purchased discs it can play all flavours of dual-layer and two-sided DVDs, as well as CD, CD-R, CD-RW and DVD-RW stored with MP3, JPEG, DivX, AVI, MPEG and VOB files. Similar fare (exactly which file formats, we'll investigate later) is playable from USB flash drives or HDDs plugged in to the set's side-mounted USB port, which can also source files from a connected camera or smartphone. Native 50Hz processing power is on a rather basic 1366 x 768 pixel resolution LCD panel - albeit an LED-backlit version. There's no 100Hz option to lessen blur, and in use that omission has a negative impact.